Recent news reports reveal that yet another persons death can be attributed to faulty Takata airbags. This brings the number of Takata airbag deaths to nine internationally, including one pregnant woman. While the National Highway Traffic Safety Administration still needs to confirm details of the death, they plan to push forward on enforcing their civil penalties against Takata. The fatality involved a teenage boy and a 2001 Honda Accord coupe. The teen was driving a relatives car near Pittsburgh when the accident happened. The boy sustained life threatening injuries and died several days later in the hospital. The 2001 Honda was under recall since February 2010 and had not been brought in for repairs. Another recall notice was mailed the day prior to the collision on July 21, 2015. The teen’s death is preliminarily tied to a faulty Takata airbag rupture. Takata airbags have been documented for their instability in hot and humid weather. Ammonium nitrate, a chemical propellant that inflates the airbags, can become unstable in high heat and humidity. This can cause an explosion with enough force to blow apart the container, sending metal shards into the air at high speeds, which can cause severe injuries or death. The NHTSA, along with Honda, are requesting that Honda owners get in touch with their dealerships to find out if their vehicles are under recall. If so, owners should take their vehicles in as soon as possible. To date, 19 million vehicles have been impacted by the massive recall and Takata could be looking at deferred penalties up to $130 million. The company has already agreed to pay $70 million in safety violations. An additional several hundred thousand vehicles will be added to the recall. These vehicles include the 2005-2008 Subaru Outback and Legacy, the 2005-2008 Mazda6 and the 2002-2004 Honda CR-V. 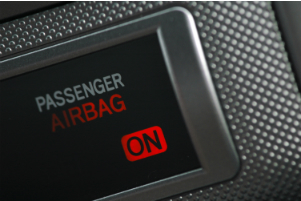 If you or a loved one has been hurt because of a defective Takata airbag(http://www.edwardslawok.com/takata-airbag-recall-lawyers.html), contact The Edwards Law Firm today to explore your legal options.